LeoHohmann.com Michele Bachmann, a former member of Congress and prominent Minnesota conservative, said she has no doubt in her mind that, if approved, the task force will recommend draconian measures to crack down on so-called “hate speech” in her state. “The anti-Semitism portion of this bill is the cover for the main purpose of the bill, which is to establish in Minnesota statutes the equivalent of Islamic anti-blasphemy rules under Sharia law,” added Bachmann. The task force, if approved by the legislature, would be chaired by Muslim Attorney General Keith Ellison or someone appointed by Ellison. 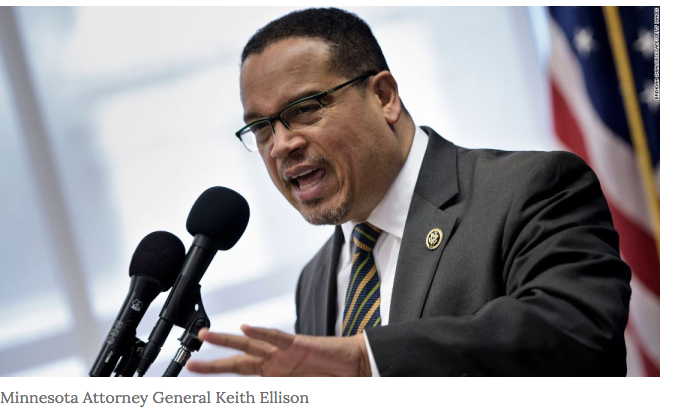 The bill was introduced on March 18, three days after the attack that tragically killed 50 people at a mosque in Christchurch, New Zealand, leading some to conclude that Ellison and other Democrats are seeking to capitalize on the global sympathy for Muslims created by the 24/7 media coverage of that attack. During that same week, more than 200 Christians were brutally killed in Nigeria by Muslim militants, only to be met with silence from the same media providing nonstop coverage of the mosque attack. On March 25, Hamas fired rockets from Gaza into Israel, destroying a Jewish home and injuring seven Jews, including a little girl. That attack was also subject to a virtual news blackout. But pro-Muslim leftists in Minnesota had already been working toward the creation of a less tolerant, less intellectually diverse environment even before the New Zealand attack, according to conservatives in the state. The stated goal of the task force is to “analyze the impact of Islamophobia and anti-semitism and recommend possible legislative action.” It’s that last part – “recommend possible legislative action” – that has free-speech advocates on high alert. 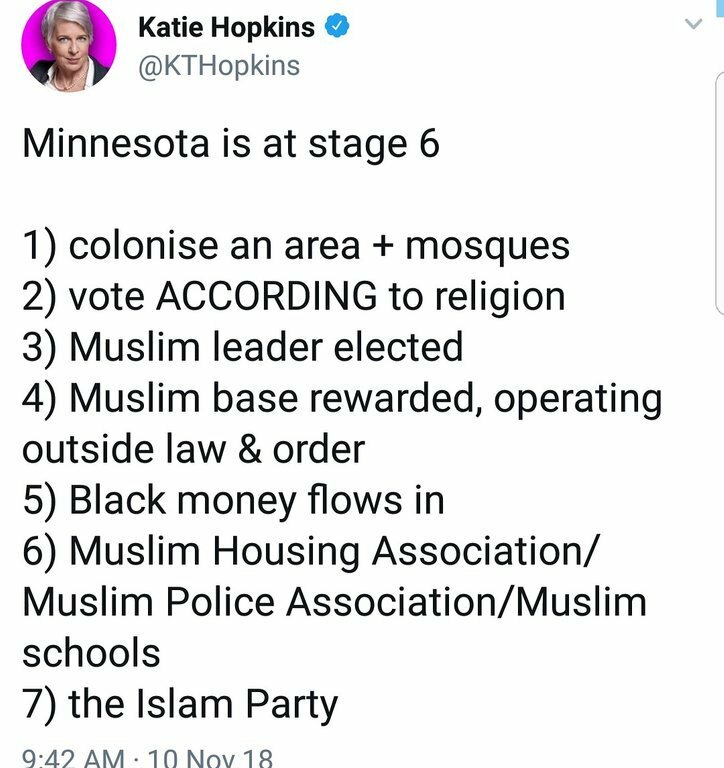 Bachmann said all you need to do is look at the proposed members of the task force, which includes the heads of the Darul Farooq mosque, the Council on American Islamic Relations [CAIR], the Islamic Society of North America and the Muslim American Society of Minnesota. All have ties to the Muslim Brotherhood and have spouted hatred for Jews, so Bachmann and others want to know why they would be placed on a committee tasked with reining in anti-Semitism? “This legislation is a who’s who of the Muslim Brotherhood in Minnesota gaining control over every Minnesotans’ life and ability to speak,” Bachmann said. 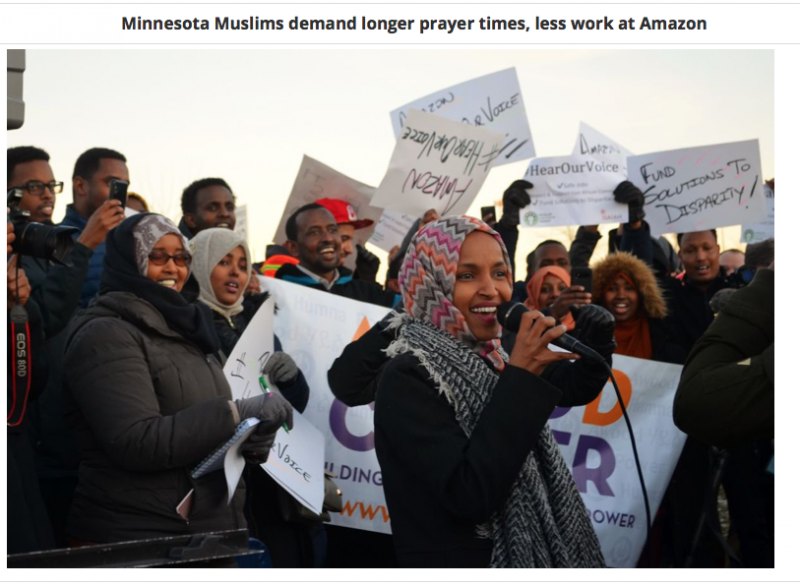 “In fact, the average Minnesotan will have to say goodbye to free speech, and hello to speech and behavior monitored by Islamic/Koranic religious texts. When a Muslim attains power, nothing good comes out of it. How Ellison ever got to be appointed as Attorney General, I’ll never understand. Thank the DEMOCRATS for this situation, changed the immigration laws(1960’s) to allow Islam into the nation, second blame President Bush #2 after 9/11 brought thousands in for humanitarian issues and finally the full Cause id President Obama dumbnut: bringing in untold amount of Muslims and dumping them across the United States in the dead of night in unsuspecting towns, gave them citizenship, welfare and such. Have stated many times Islam must be stopped, in order to do that it must be declared a theocracy not a religion, it is not a race, Islam is a theocracy that adheres to a self ruling legal judicial system called sharia law that applies only to Muslims, Islam using the First Amendment to advance sharia under the guise of a religious duty that would restrict non Muslims from speaking the truth of what Islam really is and the intent to destroy America. 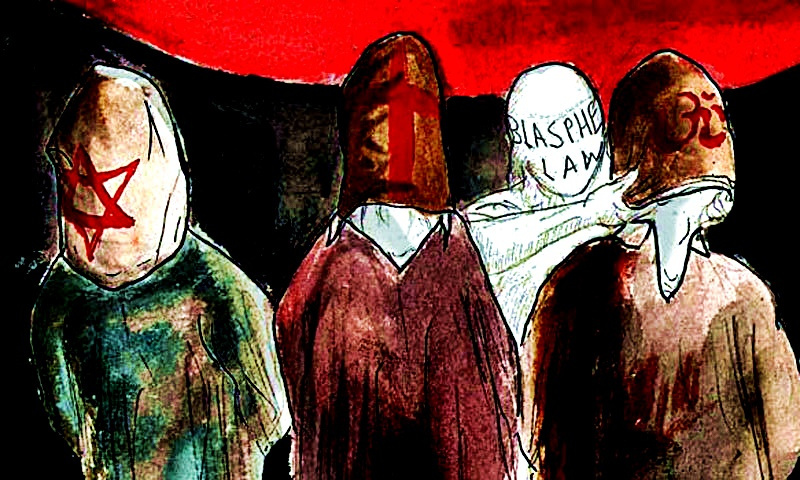 Islam once striped of its religious status can be stopped and be removed from our nation for being a foreign government and that is according to Article Six of the Constitution: no other government can operate inside of America……A nation cannot have 2 legal system, Islam must go. 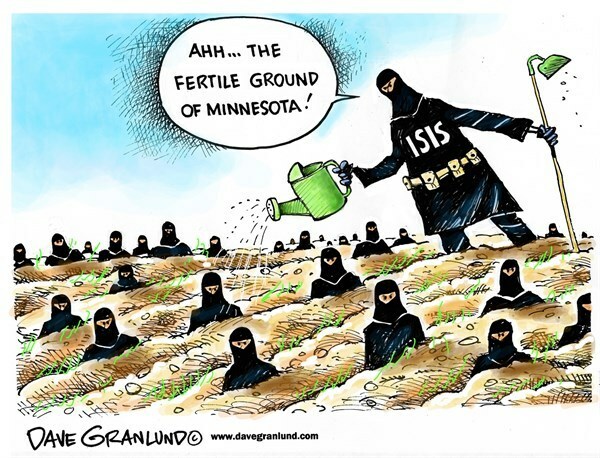 Minnesota one known as the “Land of a Thousand Lakes,” is know know as the land of the Somali Muslims. Drown those who even think about suggesting our laws. 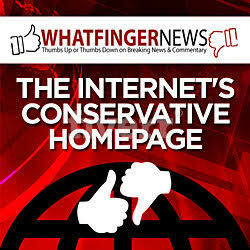 Glad to see comments by Michele Bachmann. If (when) America elects a female Prez. she would be my choice. Honest, sensible, Republican and Presidential. I always liked her too, but she was hated in the House. Simple solution. Take away their American citizenship and send them home. Who the hell do they think they are? The founding fathers would be OUTRAGED that America’s leaders would allow this rabid ANTI AMERICAN, FREEDOM HATER Muslim to run for office and be elected to power to DESTROY AMERICA. A Muslim imam in London, declared: “We Will Use Your Democracy to DESTROY Your DEMOCRACY. A state of emergency must be declared immediately. We must not lose America and our freedom! 1,400 years ago, the MILITARY POLITICAL CONQUEST Cult of Islam declared WAR on all non-Muslims. “A nation can survive its fools, and even the ambitious. But it cannot survive treason from within. An enemy at the gates is less formidable, for he is known and carries his banner openly. If Islam and Muslims were eliminated world wide, the Earth would be a much safer and sane place. retarded muslims. just demand no work from bozo and a free check! I have zero intention of respecting perverts and their perverted deity not their kiddie pervert std infected psychopathic lying fake prophet. nor do I intend to shut up. me too. I remember when Michelle Bachman and a few other congress people send a letter to DC to ask for an investigation of Huma Abedeen. They all were pissed at her. I prefer a 9mm Glock , personally . We can’t deport them, they have American citizenship . The best thing would be to vote for conservative anti Islam people and load all governments up with these sort of politicians…. I wish we could find a law, or pass laws that dec,are that Islam is not a recognized religion, kt reconized as a legitimate religion in the US. So what peaceful legal option is left? If there were small teams of people in each state , with experience. Ex military , and ex police , who could attack and eliminate a few of the most outspoken moslems in their area…and do these attacks simultaneously all over the us…..maybe this would start moslems to fearing us….to being afraid that they will be attacked. Just a single incident would play into the moslems hands in their push to make a special status for moslems , offer them special protection and enact anti blasphmey laws. I read articles and blogs from around the world….I read what’s happening innthe US in different states…….and what I am seeing terrifies me…. I am seeing that unless something radical, and unorthodox, happens, like martial law is declared, something THAT big in order to stop the Islamification of America and the west. 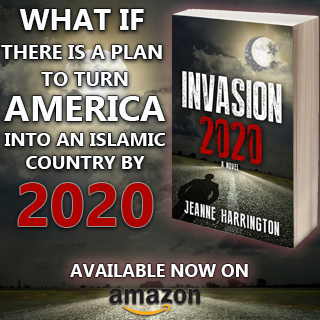 That the US will become an Islamic country …I am thinking by 2050-2060. 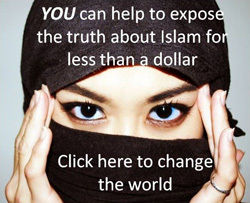 Dr. Bill Warner said that a country invaded by moslems become s Islamic, given enough time….. It is scary. I prefer deportation, because killing will be WWIII. Whether they take over or not, we are already fighting. The war will get worse. Way worse. It all happens because we allow it to happen . They are taking advance from our stupidity , laziness and a completer moronic attitude . Madness! Muslims can never be allowed to have power. The Muslim will always rise to that power as a tyrant.